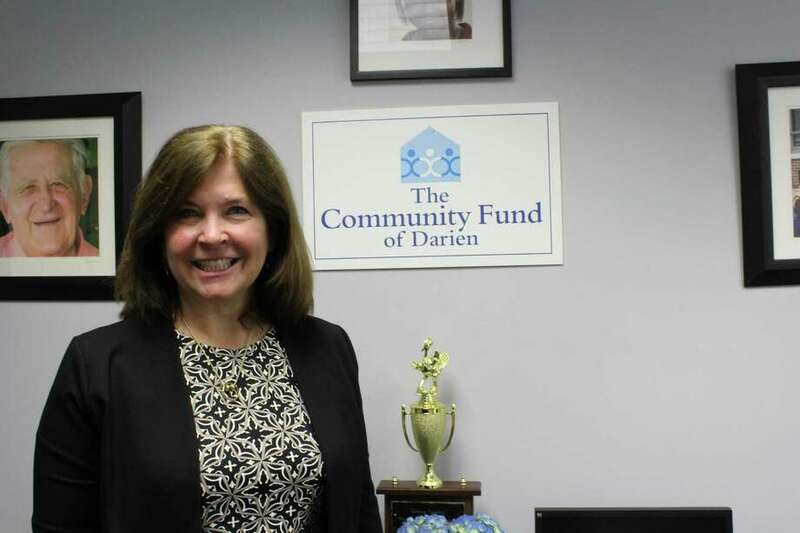 Laurie Orem is the director of development at the Community Fund of Darien. DARIEN — Growing up in Pittsburgh, Laurie Orem admired the bridges scattered around the city, planning for when she would one day design her own. “My dream as a child was to build bridges,” Orem said with a smile while at the offices of the Community Fund at 30 Old Kings Highway South. Orem went to Carnegie Mellon University where she was an engineering student and a competitive swimmer, graduating in 1983. In a change of heart, Orem switched to finance and marketing, obtaining her MBA from Columbia University in 1988. And though that childhood vision of hers changed during her 20s, Orem has built a vast network of metaphorical bridges through her work at the Community Fund of Darien where she was recently appointed as the director of development in February. Orem first got involved with the Community Fund in 2008 as a grant review volunteer while she co-chaired the Darien High School Parent Teacher Organization along with current First Selectman Jayme Stevenson. “I fell in love with what the organization did and I joined the board when I had a chance. I was passionate about the Fund and its mission and it’s easy for me to talk to people,” Orem said. development, a position that required strategic work and coordination with the other 23 board members. “I have more direct contact with our major donors now that when I was just on the board. Last year we gave away $1 million and two-thirds of that went to grants. We also engage with about 60 volunteers from the community,” Orem said. Throughout her time at the Fund, Orem has engaged with various organizations in town and also others like Building One Community in Stamford and homeless shelters in Norwalk. Orem recognizes the unique aspects of each town, which she the Community Fund takes into consideration when it’s deciding which organizations to provide grants to. “When we talk about funding goals we do it on a needs-based assessment that has to do with the needs in our community,” Orem said. Recently, in Stamford and Norwalk, those needs relate to helping immigrants and addressing youth homelessness. Closer to home, in Darien, a central issue has been confronting the impact of the opioid crisis. “We did our needs-assessment last summer and the opioid crisis and its effects are becoming more apparent in town,” Orem said. The Community Fund, in conjunction with the town’s Health and Police departments, hired Susannah Lewis, a mental health program coordinator at New York City Health and Hospitals, last October to research the impact of opioid abuse in Darien. When asked if there had been one project that she was particularly proud of, Orem took a moment to ponder and eventually said there had been far too many. “There have been so many times where I’ve said to myself that I’m so grateful to be involved with this organization. It’s great to see how these places are making improvements — we make the move to go out there and visit the different agencies to see how they grow,” Orem said.